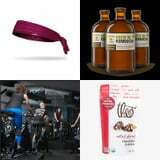 With cooler temps blowing in and pumpkin-spiced everything, here are the health and fitness products that are getting us pumped to celebrate October. We’re going back to school and back to our routines this month, but that doesn’t mean our healthy habits will suffer. Here’s how we’re staying organized and on track this month – check out our favorite healthy picks for September! Hooray for warmer weather. It’s finally here! And so are all the summery sports that go with it. 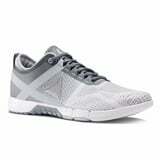 Here are some of the health- and fitness-related items we’re loving for the month of June. This month, we’re welcoming Spring with open arms, but staying cozy while we do. We’re gearing up with fun leggings and light jackets to layer up during our workouts, then taking in our outdoor runs that celebrate the season. Check out our must haves for March! Whether you’re proudly sticking to your healthy New Year’s resolutions or you could use a nudge in that direction, new gear works wonders when it comes to inspiration. 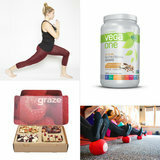 Check out the gear, classes, and snacks we’re loving for February; maybe they’ll motivate you too.